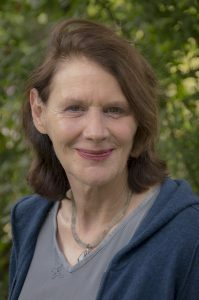 Carol Kress is a highly experienced Feldenkrais Practitioner of more than 20 years, and Trainer who brings to her teaching a desire for excellence and a wish to communicate the essence of the Feldenkrais Method. In her private practice she works with both adults and children with a variety of difficulties, including chronic pain and neurological problems, as well as performing artists. Her work is informed by a long-time involvement in equestrian arts, yoga, a passion for Argentine Tango, and her practice of the martial art of Aikido for which she holds a 4th degree black belt. Carol first began to study the Feldenkrais Method in1985, she finished her Feldenkrais Professional Training Program in 1993. Carol teaches throughout the United States. She is currently completing the editing of Volume One of an in-depth biography of Dr. Feldenkrais, written by her late husband, Trainer, Mark Reese. Carol lives in Marin County, California. In private practice in Toronto since 1987, Olena works with people dealing with pain and neurological difficulties, as well as dancers, musicians, athletes, people with “poor posture” and those looking to enhance any aspect of professional or personal life which required improving or rehabilitating movements. 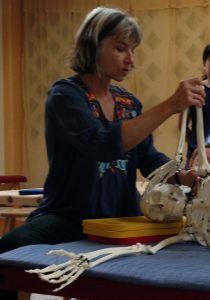 In addition to working in individual Functional Integration sessions, Olena leads workshops for movement professionals, for the public and for Feldenkrais practitioners in North America and Europe. She teaches in Professional Training Programs in Toronto, the U.S. and Europe. 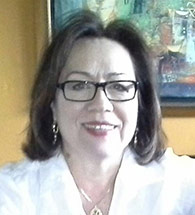 Olena brings to the work her extensive background in anatomy, kinesiology, movement studies and dance. In the early 80’s the Feldenkrais Method served as her means of recovery from back injury. From that start, she had continued to find the method invaluable as an ongoing transformational process. 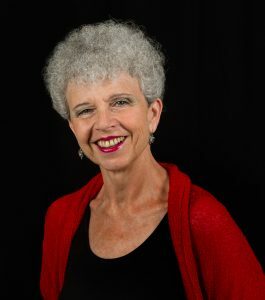 Aliza Stewart has been a Feldenkrais practitioner for 29 years and is an accredited Feldenkrais Trainer, teaching in trainings in the US, Europe, South America and Israel. She has given classes, workshops and presentations in institutions & organizations about the benefits of Feldenkrais in medical cases, the ergonomics of the workplace and the arts. The institutions include The Johns Hopkins University Applied Physics Laboratory, The Maryland Medical and Chirurgical Society, and The University of Wisconsin at Madison. She has taught Feldenkrais classes to medical students at the University of Maryland Medical School. Originally trained as a concert pianist, Aliza Stewart has a great understanding for the needs and problems of performers. For fifteen years she has taught a Feldenkrais class at the Peabody Conservatory of Music and is at the Mannes School of music. She has been in residence at the Marlboro music festival and the Yellow Barn music festival, working with internationally acclaimed musicians. Aliza has given special workshops at the Juilliard school, Manhattan school of Music, the Mannes School of Music and the University of Vienna, Austria. Ms. Stewart has a private practice in Baltimore and in New York City. David Zemach-Bersin lives with his family in Bucks County, Pennsylvania. Arlyn Zones (MA Theatre Arts) has been involved in the Feldenkrais Method since 1977 and graduated in 1983 from the last training that Dr. Moshe Feldenkrais conducted. She is one of the most experienced Trainers in the U.S. and has taught in numerous trainings worldwide. She has directed her own programs in Europe and North America. Over the last 30 years Arlyn has taught workshops for health professionals, performing artists, and the general public as well as offering post-graduate seminars for Feldenkrais Practitioners. She lives in San Francisco where she maintains a private practice in which she works with infants, children and adults who are seeking help for a wide range of physical and neurological difficulties. Her private practice also includes work with dancers, singers and musicians.